Results: Popular in cosmetic medicine for making tiny frown wrinkles go away, botulinum neurotoxin (BoNT) is, perhaps, more notorious for historic outbreaks of respiratory paralysis and death. Traditionally, medical responders have relied on the highly sensitive, but slow, mouse assay to confirm the presence of BoNT and determine its serotype. But today, research emphasis has turned to developing in vitro immunoassay techniques with high sensitivity and rapid sample results—both important for potential exposure. "Each immunoassay approach has its own advantages and disadvantages," said Dr. Jay Grate, a Laboratory Fellow at the Pacific Northwest National Laboratory. "Some techniques are slow and some are fast; some are extremely sensitive and some are less so, but they are all useful." To gain a better understanding of the breadth and depth of immunoassay techniques for BoNT, Grate and his research team reviewed current scientific literature to focus on the most promising approaches. 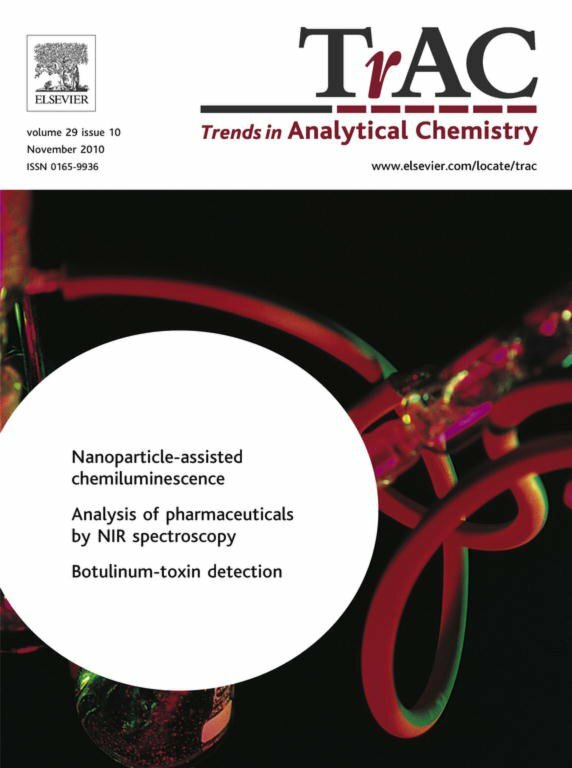 The team's review is described as an invited cover article in the journal Trends in Analytical Chemistry. TrAC, November 2010. Why it matters: Natural cases of BoNT intoxication can occur through consumption of contaminated food, infection of an open wound, and intestinal infection in infants. Intoxication can also occur through inhalation, raising concerns about use of this potent neurotoxin as a tool of warfare or terrorism. In fact, the U.S. Centers for Disease Control has listed BoNT as one of the six highest-risk threat agents for bioterrorism. According to Grate, a better understanding of immunoassay techniques for BoNT is important for public safety and national security. "In the event of an outbreak of BoNT intoxication—whether natural, accidental, or through intentional release—it will be critical to have rapid, sensitive assays to assess a large number of samples," said Grate. Methods: The team was invited to author an article for the TrAC article after publishing four primary research papers about BoNT detection from 2004 to 2009. In review, the team documented the progress that scientists around the world have made to develop more sensitive and rapid assays. This, says Grate, involves tremendous effort in capturing the toxin from the sample and concentrating it to a small volume to generate a strong signal. The team's review concludes that longer assay times continue to yield the lowest achievable limits of detection. However, as research continues to replace the sluggish mouse assay, rapid new techniques are much more sensitive than in the past. For example, luminescence-detection methods have largely replaced colorimetric enzyme-amplified methods, and microfluidic formats have emerged for very sensitive assays. Plate-based formats continue to be important, as they are suitable for robotic automation. And one of the key trends that emerged from the review was a growing focus on solid phases, such as beads, for heterogeneous immunoassays. "This technique, which helps separate the components of the assay, is not a trend that's unique to this field, but people have applied it in this area of research to achieve very low detection limits," explained Grate. "The use of solid phases has been an integral part of our approach for as long as we've been developing biodetection systems. So this review confirmed that this is a strong approach." What's next: Grate and his research team will continue to research immunoassay techniques to rapidly screen for BoNT and other toxins. "This is a dynamic and evolving field where researchers are all working toward better public health and safety," said Grate. "I don't think anybody—yet—has the final answer." Acknowledgments: This review was performed by Jay W. Grate, Richard M. Ozanich Jr., Marvin G. Warner, and Cynthia J. Bruckner-Lea, Pacific Northwest National Laboratory (PNNL); and James D. Marks, University of California, San Francisco (UCSF). Their research on BoNT detection methods was funded by the Department of Homeland Security. The research was performed in part at the W.R. Wiley Environmental Molecular Sciences Laboratory, a national scientific user facility sponsored by the Department of Energy's Office of Biological and Environmental Research and located at PNNL. The antibody-development work at UCSF was partially supported by the National Institute of Allergy and Infectious Diseases. Reference: Grate JW, RM Ozanich, MG Warner, CJ Bruckner-Lea, and JD Marks. 2010. "Advances in Assays and Analytical Approaches for Botulinum Toxin Detection." 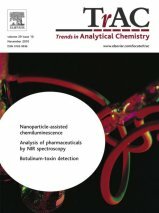 Trends in Analytical Chemistry. TrAC 29(10):1137-1156. DOI : 10.1016/j.trac.2010.07.005. Among the most poisonous substances known, botulinum neurotoxin is a protein produced by the bacterium Clostridium botulinum. By weight, it is estimated to be 1,000 times more toxic than ricin, 15,000 times more toxic than the chemical weapon, VX nerve agent, and 100,000 times more toxic than sarin.